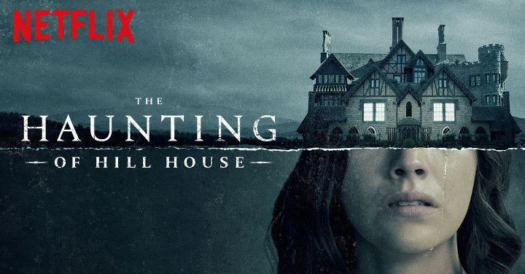 The Haunting of Hill House is a new television show released to Netflix on October 12th, 2018 that was created by Mike Flanagan. The series is based on supernatural horror topics from a previous show by the same name that was premiered in 1959 by Shirley Jackson. The plot of the series is that two parents and their five children move to a house on a hill in the heat of 1992. The move was only temporary while the families mansion was under renovation. The family ended up staying in the house for longer then expected; in that time paranormal incidents start to occur. The parents and children then decide to escape the house on the hill. Almost thirty years later, everyone except the mother returns to the hill house and the same events start to happen again. The family then is continuously reminded of the past times they experienced. The TV series has 1 season that includes 10 episodes, which range from forty minutes in length to an hour and fifteen minutes. Although there are not as many well-known actors and actresses, the program includes Michiel Huisman, Carla Gugina, Henry Thomas, Kate Siegel, Violet McGraw, Timothy Hutton, and many more. Just like the teen obsession with 13 Reasons Why and Stranger Things– teens are raving about this new Netflix release. The new series has only been on Netflix for a couple of weeks, but watchers are begging for more already. No news on any other seasons has been released. With the early release and high demand for more, The Haunting of Hill House is a series to be on the lookout for.